What’s up guys? The day has come. 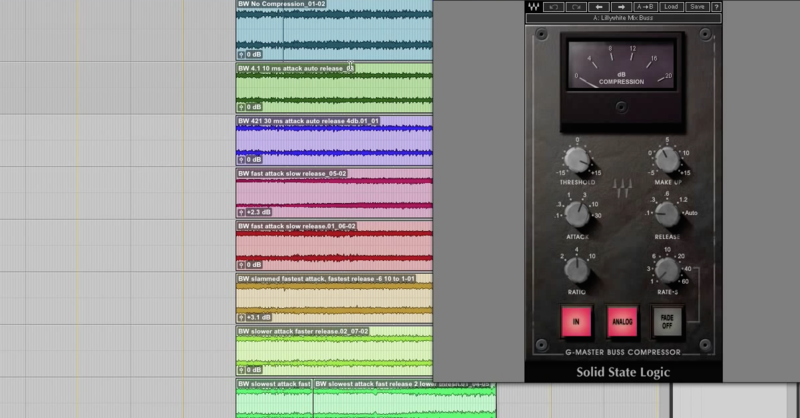 The Virtual Buss Compressors from Slate Digital have been released. I demoed these, I downloaded the licenses to the iLok, I didn’t have any problems. This was my first time doing the new iLok system, so in case you were worried for me, it worked fine. I don’t know, for you it may be different. I don’t know. I’m just going to say that if you’re worried about downloading these. I didn’t have any issues. So with that said, do what you want. So I’ve got these, I’ve demoed them, I’ve played with them a little bit, and I thought I’d just walk through the controls, the functions, what these things are sort of emulating, and let you hear them. I’ve got them on a mix buss on a track. Here is the main — it comes — the plug-ins come individually, and they also come in this rack format. This is the VBC rack, and you’ve got three plug-ins, you can grab these, drag them around, however you want to do it, which is pretty cool. Great for a mastering type of application, if you just want to get really crazy with your compression on busses. The top one here is basically going to model your SSL buss compressor, the FG Grey. FG Red models a Focusrite buss compressor. I couldn’t tell you if it’s a lot like it or really different or what. I can tell you this thing sounds really cool though and I’m going to end up using it on a lot. Maybe my new favorite buss compressor. The one below it is going to be a Fairchild. But these things aren’t just like the regular counterparts. 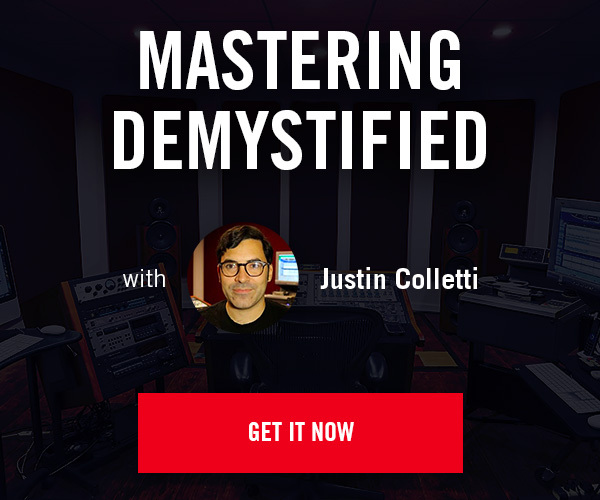 It is 2013, and so they have been hot rodded out a little bit and there’s some added features like mix knobs, side-chain filtering with a high pass filter and some cool things with metering and little, little tweaks here and there. So let’s kind of go through all of these. If you notice, this is the VBC rack. This session has quite a lot of plug-ins on it. It’s a pretty tall order. It doesn’t kill the system. You know, i’m at 40%, kick that on. Go to 50%. That’s with all three of these going. Individual plug-ins really don’t add much at all, which is awesome, which means you can use these on your mix buss, you can use them on these sub mix groups, drum busses, and you’re going to be good to go. So let’s get into it, let’s listen to them. Pull up this first plug-in. FG Grey. You’ve got — we’ll go from left to right. Check out the controls here. We’ve got attack, we’ve got release, click the button, you can go into auto-release mode. 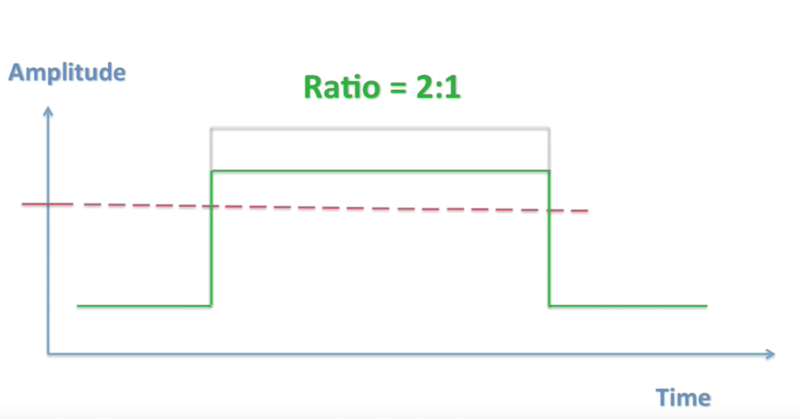 Threshold, ratio. Ratio is cool on the SSL if you’re familiar with it, you know you typically just get two to one, four to one, ten to one, but you’ve got some more options. You’ve got some steps in between, one, 1.5, 2, 2.5, 3, 3.5, 4, and then it goes 5, 6, 7, 8, 9, 10. So you’ve got more options there, which is really cool. You’ve got metering here in the center, you can go between in, out, and gain reduction. Then you have a meter down here below that lights up that you’ll see that continually displays gain reduction. So you can have it going, you can look at your output and your gain reduction at the same time, which is awesome. Then over here, you get to the cool stuff. We’ve got a mix button. Or, we’ve got a mix knob, because it is 2013, and if you’re going to release a buss compressor, put a mix knob on it. They all come with it nowadays, right? We’ve got makeup gain, and then we have our high pass filter here, which basically tells it — so if you crank this up to 150Hz, it’s going to compress everything above 150Hz, and everything below that isn’t going to be compressed. So you have options there. It’s off, to 150Hz. So you’ve got options there if you’re into that. Side-chaining stuff. Let’s listen to it. I’ve got a track, it sounds like this. So check out the auto-release. It’s pretty smooth. We’ve got slow attack, ratio of four to one. Really nice. Really love the auto-release. It’s really smooth. The bottom end on this thing just gets really tight, which I love. You can get a little more aggressive with it. Really cool. Definitely going to be using this one a lot. Again, it just gets the low end really tight, which I love. Get a lot of punchiness out of it. Let’s move on. Check out the FG-Mu, which is modeling a Fair Child. This thing works in a couple of different modes. You can switch between stereo and mid/side. Stereo works like you’d think it works. Adjust one side of it, you’ve got left and right. They both react. Mid/side, you’ve got — you know, you can compress the mid different than the sides, which you can do really cool stereo things to get things wider and different effects, which is really neat. You’ve got power on and off. Meter selection. Gain reduction, out, in. Like you’d expect. As far as the controls go here, you’ve got input, we’ve got threshold, we’ve got output, attack and release settings, and then you’ve got our nifty high pass filter, which goes up to 200Hz, which is cool. Then mix. Let’s check this one out. Kind of use sort of the same type of settings here. Input side of it is really cool to play with. You can drive it harder. I really like the color and feel of this compressor. I’m going to have to try this on a lot of different stuff. So that’s the FG-Mu. Pretty neat stuff. Here’s the FG-Red, which may be my favorite one out of the three. Real quick, go through the settings. You’ve got threshold, ratio, one to ten, got attack and release. Right now, I’ve got auto-release engaged here in the center. Power it on and off, meter selection, like you’d expect. This has a really neat drive knob, so you can get pretty wicked with it. Makeup gain, mix, and again, high pass filter up to 150Hz. Let’s check it out. I’m going to go slow on the attack, auto-release, and I’m going to leave the ratio at four to one, and then I’ll just bypass it on and off and take a listen to it. Man, I love what it does to the snare drum. Let’s check out the drive knob. So that’s the three compressors, and the rack plug-in. So let’s do this. I’m going to use on my mix buss, I’ll set this up. Get this going. Alright. So that’s my mix buss. It’s going. And then I’ve got two groups down here, and I’m going to do — let’s go with the FG-Red on this. Group one is drums and bass, group two is everything else. So let’s mute group two, we’ll just listen to drums and bass, get this compressor going, and then we’ll bring in the second one too. Just want those needles barely rocking. I like that. Let’s check out group two here. There you have it guys. 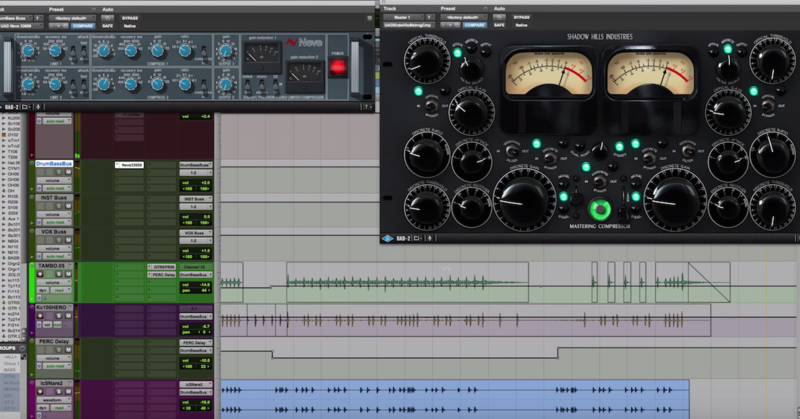 That is the new Virtual Buss Compressor from Slate Digital, so check it out. I’m not really going to say these are any better or worse or anything like that. Again, I’m really into the FG-Grey, I’m really into the FG-Red. I can’t wait to start doing some stuff with them. I’m always in the mood for new compressors, so. These definitely round it out. I think it would be interesting to do some plug-in shoot outs later on this week and next week with them. Especially with the FG-Grey and some of the other versions of the SSL stuff. So anyways, that’s it. Go download these, go demo these, check them out. They’re awesome, and we will see you in the next video. Later.